By ON A HIGH SI 113 (1981). Stakes winner of $1,167,234 [G1]. Sire of 558 ROM, 44 stakes winners, $9,670,306, including SEEMEDOIT SI 104 (world champion, champion 2 years, $913,464 [G1]), MARS BLACKMAN SI 120 (champion, $382,531 [RG1]), BETTER THAN NEVER SI 116 (champion). Sire of the dams of 54 stakes winners, including TAILOR FIT SI 110 (world champion twice, $1,299,010 [G1]),GUNBATTLE SI 110 ($667,281 [RG1]). Dash Master SI 91 (g. by Fishers Dash). Placed to 3, $5,151. Sea U Kitty SI 102 (f. by Sea U Bar). 10 wins to 5, $44,436, 2nd Kansas Bred Futurity [R], Kansas Jackpot Derby [R]. Kitabound SI 99 (Kitaman). Stakes placed winner, above. Ole Bound Girl SI 97 (The Ole Man). 6 wins to 4, $7,432. Granddam ofKENOCARTELSI 92 ($24,545), Digital Velocity SI 105 ($49,105). Mr Deck Bound SI 105 (Mr Deck Moore). 15 wins to 8, $20,181. Tiny Runnin Jody SI 98. 7 wins to 5, $25,526. Miss Stormvelocity SI 94 (Storm Velocity TB). 4 wins to 3, 2nd ISF Fut. The Task Force SI 97 ($34,563 [G2]), The Lady In Charge SI 93. Little Miss Bailey SI 91 (Pacific Bailey). 4 wins to 3, $4,538, 2nd Rutland Ranch Futurity. Dam of Kita Kahlua SI 90; granddam of LOOK ADAT LOOK ADAT SI 91 ($18,322 [R] [G3]). Lahula Too SI 85. 2 wins to 3, 3rd Midway Green Grass Derby. Go Kita Girl (Kitaman). Dam of Go Countess SI 93 ($16,347). Kansas Jackpot Derby [R] [G3], finalist in the Kansas Futurity [G2]. 2002 Kansas Heat SI 86, g. by Dash To Chivato. Placed at 2. 2005 Aseah SI 92, f. by Struttin To Beduino. 2 wins at 3, 2008, $22,657. 2006 Nicketti, f. by Brimmerton. Has not started. 2007 High On Cheri, f. by Tres Seis. 2008 f. by Country Chicks Man. 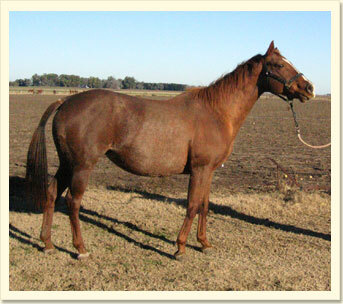 Last BRED April 19, 2008, and believed in foal to DASH TO CHIVATO.